A reputed mob figure has been indicted on charges he fraudulently qualified for early retirement benefits from the Social Security Administration. John A. Matassa Jr., then secretary-treasurer of the Independent Union of Amalgamated Workers Local 711, put his wife on the payroll in a do-nothing job in February 2013 while lowering his own salary, authorities charged. He then applied for the early retirement benefits from SSA's Old-Age Insurance program, listing his reduced salary, which enabled him to qualify for those benefits, the indictment alleged. 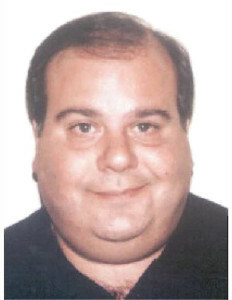 Matassa, 65, of Arlington Heights, is scheduled to be arraigned next week in federal court on two counts of wire fraud, two counts of theft of government funds, four counts of embezzlement from a labor organization and two counts of making false entries in union records. Matassa's name also surfaced during the 2009 trial of a deputy U.S. marshal who was convicted of leaking sensitive information to a family friend with alleged mob ties, knowing the details would end up in the Outfit's hands. The leak involved the then-secret cooperation of Outfit turncoat Nicholas Calabrese, whose testimony led to the convictions of numerous mob figures in the landmark Operation Family Secrets. His lawyer declined to comment on the indictment.